The 224th Annual Convention has concluded. The Episcopal Church in South Carolina celebrated the admission of three new churches, worshiped with a distinguished leader of the Anglican Communion, elected officers and approved a 2015 spending plan as more than 300 delegates, clergy and visitors met November 14-15 for the 224th Annual Diocesan Convention at Church of the Holy Communion, Charleston. Convention-goers gave a joyous welcome to three recently organized mission churches: The Episcopal Church of the Messiah in Myrtle Beach, the East Cooper Episcopal Church in the Charleston area, and the Episcopal Church in Okatie. 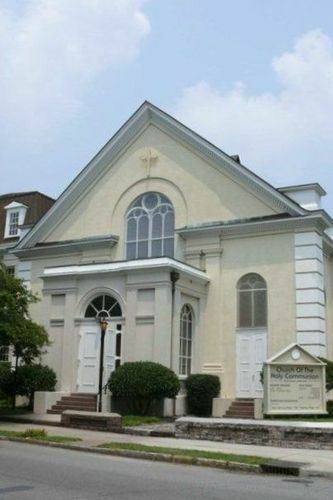 Combined with the 27 parishes and missions already in the diocese, they bring to 30 the total number of congregations who are “in union,” or fully participating, in the Convention of TECSC, the recognized diocese of The Episcopal Church and the Anglican Communion in eastern South Carolina. 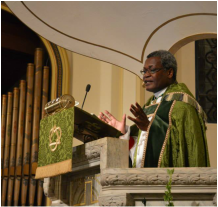 The Convention theme was “The World to Christ We Bring,” and the guest preacher at the opening worship service Friday evening was the Right Reverend James Tengatenga, Chairman of the Anglican Consultative Council and former Bishop of the Diocese of Southern Malawi in Africa. He is now the Distinguished Visiting Professor of Global Anglicanism at The University of the South at Sewanee. Bishop Tengatenga said that it’s not a matter of choice for The Episcopal Church in South Carolina, or any part of the body of Christ, to engage in mission. “Every one of us here is destined for mission,” he said. “God in his design has called you and marked you and thus sealed you for this purpose.” The full text can be found here. In the Bishop’s Annual Address to the Convention on Saturday, the Right Reverend Charles G. vonRosenberg focused on themes of identity and accountability for TECSC as “landmarks for us to keep in our sight as we travel through the wilderness.” He challenged local Episcopalians to seek ways to live more fully into their identity as the Body of Christ in the world. The full text of the Bishop’s Address can be found here. In keeping with the Convention theme, more than 100 people participated in an all-day workshop Friday led by the Rev. Thomas L. Brackett, The Episcopal Church’s Missioner for Church Planting, Ministry Redevelopment and Fresh Expressions of Church. They also heard a presentation by the Rev. 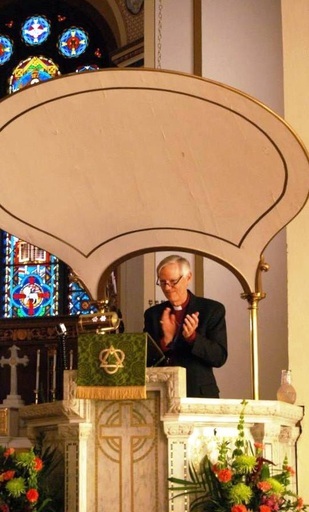 Canon Mark Stevenson, Domestic Poverty Missioner for The Episcopal Church. • Approved a 2015 budget. As in 2014, the diocese expects to operate without grants or loans from The Episcopal Church, thanks to strong support from continuing Episcopalians, and in fact will send support to TEC in 2015 according to the formula used by other dioceses churchwide. • Revised the Constitution and Canons of the diocese. In recent years, breakaway church leaders who were dissatisfied with TEC had revised governing documents to remove references to the Church. Delegates gave final approval to changes that acknowledge the diocese as part of the wider church and bring it line with the TEC Constitution and Canons. • Sent forth Deputies and Alternates with a special liturgy, praying for those who will represent South Carolina at the 78th General Convention of The Episcopal Church, to be held June 25 - July 3, 2015 in Salt Lake City, Utah. • Received annual reports from Porter-Gaud School and other institutions of the diocese, and spent time with some 14 regional and national organizations who sent representatives and exhibits for the event. • Collected an offering of $2,482 during the Convention Eucharist to be given in equal portions to two organizations: Episcopal Relief & Development, the international relief and humanitarian organization of The Episcopal Church, and Coastal Crisis Chaplaincy, which provides pastoral care and counseling in the Lowcountry for first responders, families and the general public in times of crisis. Standing Committee – Lay members Doug Billings and Ginga Wilder, and clergy members the Rev. James Dannals and the Rev. John Zahl. Diocesan Council – Lay members Sue Cavanaugh and Virginia Weaver, and clergy members the Rev. Rick Lindsey and the Rev. Canon Michael Wright. Trustee, University of the South – One lay member, Ann Stirling. • Received an invitation from the Reverend Wil Keith, Rector of Holy Cross Faith Memorial Episcopal Church in Pawley's Island, to attend the 225th Annual Diocesan Convention there in November 2015. Convention-goers interacted through social media before, during and after Convention: On Twitter and Instagram(@TECinSC, #SC224) and on Facebook at facebook.com/episcopalchurchsc. Read Bishop vonRosenberg's Address to the Convention and view the video here. "8 Things to Know About Convention"
The Rt. Rev. James Tengatenga served as bishop of Malawi in southeastern Africa for 15 years and is the Chairman of the Anglican Consultative Council, one of the four Instruments of Communion that serve the worldwide family of Anglican/Episcopal churches. In May of this year he was appointed as Distinguished Visiting Professor of Global Anglicanism at Sewanee: The University of the South. Born in Kwekwe, in what was then Rhodesia, on April 7, 1958, Bishop Tengatenga he began theological training and priestly formation in 1979 at Zomba Theological College in Malawi. He continued his theological training at the Seminary of the Southwest in Austin, Texas, where he earned a master of divinity degree and was ordained a priest in 1985. He has done graduate work at the University of Birmingham in the United Kingdom and holds a Ph.D. from the University of Malawi, as well as honorary degrees from the Seminary of the Southwest in Austin, Texas, and The General Theological Seminary in New York City. From 1998 to 2013 he was the Bishop of the Anglican Diocese of Southern Malawi. He began his duties at Sewanee in July, teaching courses in missiology, contemporary global Anglicanism, and related subjects. Bishop Tengatenga has been a member of the Anglican Consultative Council since 2002 and has been its chairman since 2009. The role of the ACC is to facilitate the cooperative work of the churches of the Anglican Communion, exchange information between the Provinces and churches, and help to coordinate common action. The Archbishop of Canterbury serves as President of the ACC. 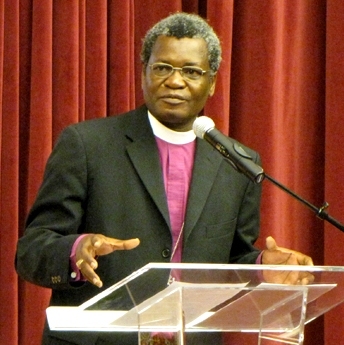 As chairman, Bishop Tengatenga also serves as chairman of the Standing Committee of the Anglican Communion. He has contributed chapters to several books and given talks and lectures in many places. He is the author of Church State and Society in Malawi (2006); he co-authored an HIV/AIDS training manual, Time to Talk (2006) with the Rev. Dr. Anne Bailey; and has edited The UMCA in Malawi: A History of the Anglican Church (2010). He is on the editorial board of two journals: the Journal of Anglican Studies (Cambridge university Press) and Modern Believing (Liverpool University Press) and is a regular reviewer of articles for the Journal of Theology in Southern Africa and the Journal of Gender Relations in Africa. His other fields of interest are post-colonial theory, African traditional religions and, race, and ethnicity studies.